A Coquitlam couple had to completely reorganize their dream Okanagan wedding after their venue was evacuated due to wildfires. Friends, family and strangers on social media are coming to the aid of a Coquitlam couple whose wedding plans went up in smoke when the Okanagan winery booked for the reception was evacuated due to wildfire. Ronny Kwetny and Tyler Balaban were supposed to get married on Saturday at the Fitzpatrick Family Vineyards at Greata Ranch. But the ranch, which is located between Peachland and Summerland and is close to three wildfires, was evacuated. The couple took to Twitter pleading for new venue suggestions on Thursday morning. Bride-to-be Kwetny said family kept the bad news from her for as long as they could. "They didn't tell me [because] they were hoping it would blow over, and then this morning my fiancé called and told me that it's not gonna happen," Kwetny said. "We just want to get married. We love this region and we knew this could happen but we never thought it could happen to us." Luckily, by Thursday evening, maid of honour Natalie Rozet confirmed the couple had secured another vineyard as a venue. 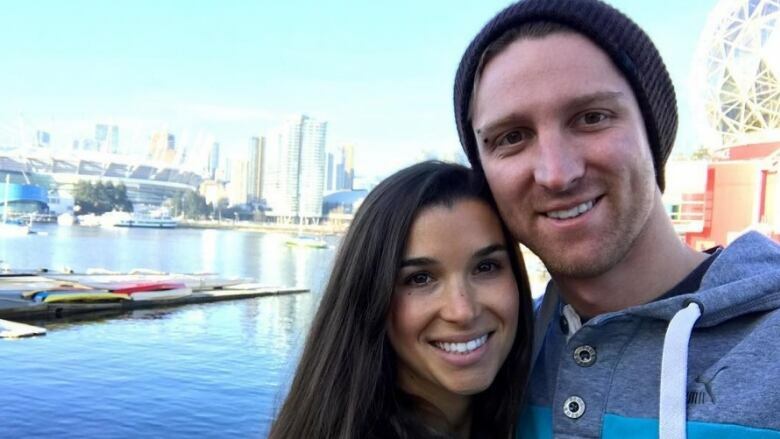 Rozet, who spoke to CBC from a houseboat on Osoyoos Lake, said the planned bachelorette party had now become an impromptu wedding planning mission. "We had a bunch of girls fly in from all over world to be on this houseboat, but we couldn't have imagined in the middle of the British Columbia wilderness we would have to plan a wedding in 48 hours," she said. "At the end of the day, this is going to be a gorgeous, amazing wedding full of love and excitement and joy because they are an incredible couple." Communities still recovering one year after worst fire season on record in B.C.